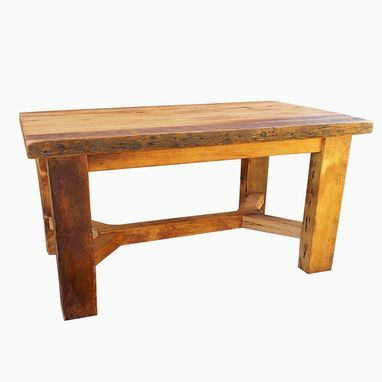 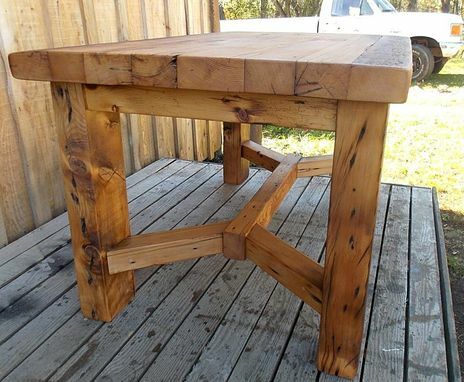 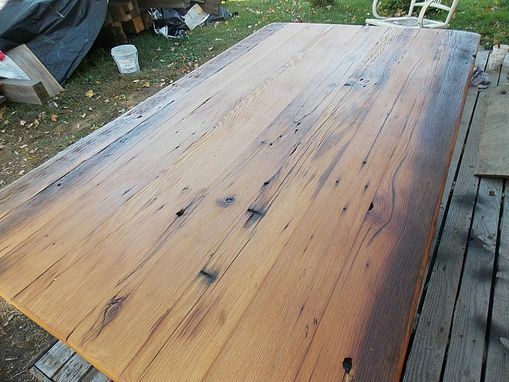 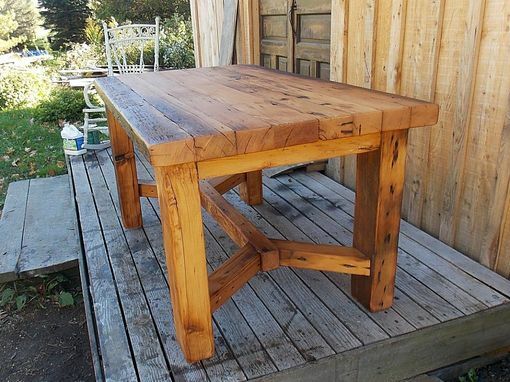 This solid rustic farm table is finished with only a clear urethane coat to display the beautiful reclaimed barnwood. 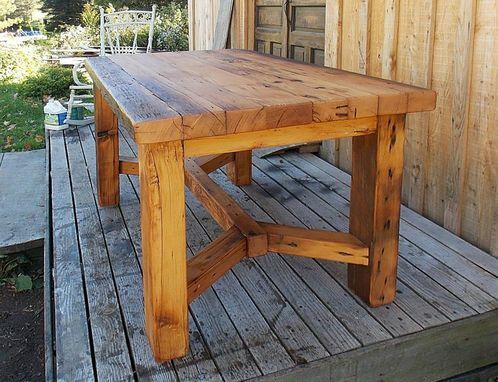 Wood is left slightly uneven to enhance rustic styling, and any nail holes and imperfections were left as-is. The table is finished with a clear urethane to protect and emphasize the beauty of the wood. 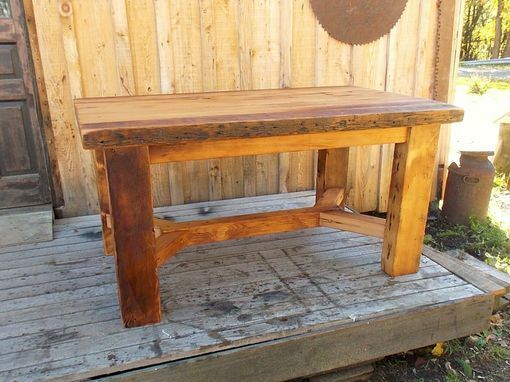 If you are in need of a similar table in a custom size, or a table larger than 8ft, please contact me for a custom order.